At the end of my ramblings, I’ll present you a really simple yet satisfying project: a heatable rice pillow… all made by you! And consider that it can be a nice Last Minute Xmas gift! Just a warning: one is hardly enough – labelled: highly addictive! I’ll start now defining some big categories on today’s topic fabrics, just to understand basic features of each one and when to choose one or one other. If you want, you can simply skip this boring stuff but, maybe, you should better Pin it Now and Read Later for future reference! 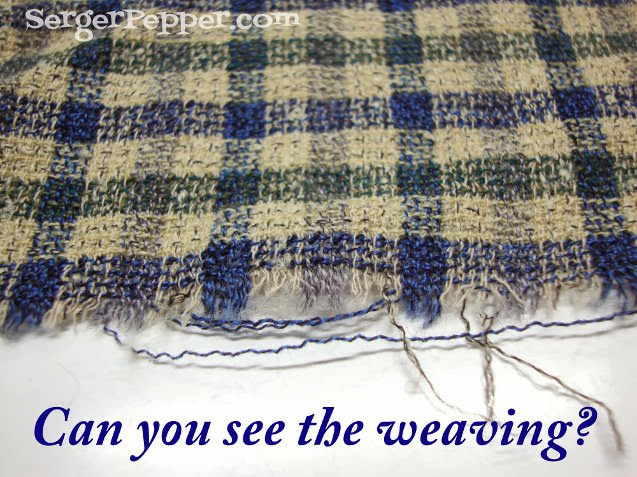 when you talk about fabrics, you’re probably referring to wovens, and it’s related to the way a fabric is done: one of my first jobs, as I came out of school, was to work on a cashmere weaving, so I’ve seen a lot of woven fabrics! Making it simple, in order to have a woven fabric, you have to put a lot of yarns all side by side (they’ll be our straight grain, running exactly in parallel with the selvedge) and then weave other yarns up and down all the first ones (the cross grain), creating the fabric structure. 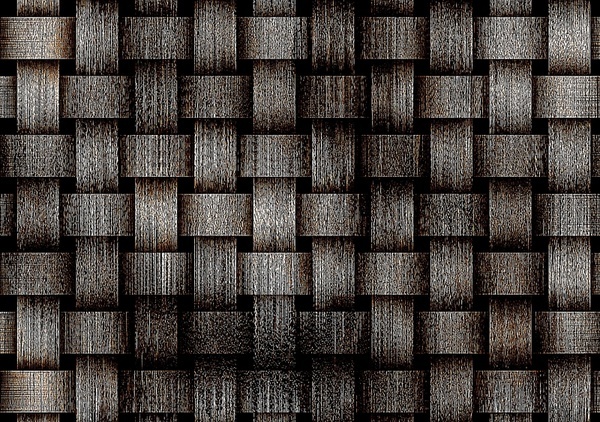 Depending on the way threads are weaving and the kind/color of each one, you can have different kinds of woven fabrics. With that in mind, you can now easily understand that you have to lay pattern pieces on the fabric considering the fabric structure that won’t give her the same properties when cut vertically (straight grain), horizontally (cross grain) or, much more different, on diagonal. this kind of stuff became really popular lately, because using it you can fix a lot of fitting problems: due to its nature it always has a little stretch (sometimes a big one) and can hugs you and follow your shape without needing darts or princess seams. It can be a little tricky to start sewing with knits (I’d suggest you for the first project to choose a woven one) but it’s not that hard, don’t be frightened from knits, they’re a rewarding kind of fabric to work with. Basically, knits are made from one only yarn that creates loops, row by row, going inside and outside loops on the lower row. You can easily do appliques with this kind of textile, but they’re really useful also as stiffener on bag making: if you can’t find fusible fleece where you live you can do like me and refashion an old fleece sweater! for their elastic content (there are stable ones without lycra or similar and elasticized ones, containing various percentages of those elastic fibres). Obviously, I don’t pretend to resume all fabric’s world in one only post, I only want to sow the seeds of something that you can decide to water and grow. If you’d like to know something more, you can read about sewing world, textile world or learn some new term sewing related. Now, let’s go creating! If you decide to pin and sew, remember to put your pins away from the machine foot and never sew above them or you’ll probably end with a broken needle or worst (the broken needle can blow up in your eyes direction, ask me how I know that!) …and remember: if something isn’t clear, you really should ask me for help, you can find all my links at the end of this post or on my blog SergerPepper.com Let’s start cutting the fabric pieces (it’s really simple, all made of rectangles, but it’s a beginners series, isn’t it?) 1 cm Seam Allowances are included! First of all, the heart of your pad! Fold in half the white fabric, Right Sides Facing (RSF from now) and sew along the long sides (leave the short one open!) Now press well seams (check my pressing tips here if you don’t know how to do that! ), then turn inside out and press one more time! Congrats, You Made a Bag! Mark 3 sewing line, 7,5 cm of distance each other. While you’re at the iron board, press toward inside the short side seam allowances. Let’s start filling: you need to put inside the bag you’ve just created a quarter (roughly, you don’t need to weight it, just eyeball it!) of the rice/cherry pits (add lavender flowers now, if you like! ); pin really near to the filling to keep it far from your sewing needle and then start stitching from side to side, going two stitches back and forth on start and stop points. Repeat three more times: on the last portion, stitch the opening closed. Let’s create the removable (and then washable too) casing, now. Fold the short sides two times on themselves using 1 cm of seam allowance; press, then stitch closed. Now lay your fabric strip with the right side up and fold it like in the second photo, overlapping for a couple of cms the flaps; pin and stitch closed long sides. 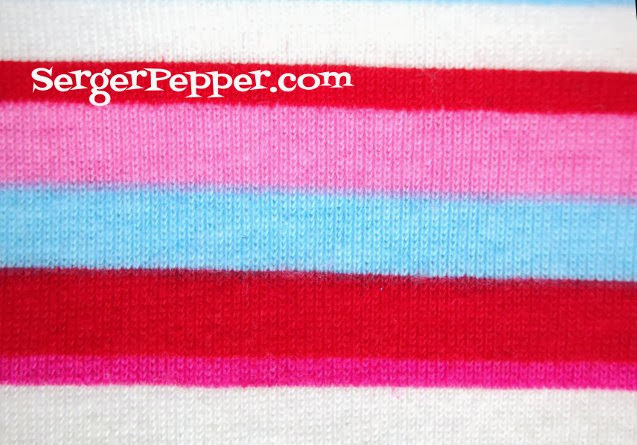 I’m serger addicted (ok, this is my outing… and, as you may already know, I’m Refashion Addicted too!!! ), so I finish seam allowances with my overlocker…. you can simply add a zig zag that will help the fabric edges not to fray too much while you wash the heat pad cover! Press everything well, turn inside out, press one last time and fill your heat pad casing with rice/cherry pits pad. For warming your newly made Heat Pad, put it into the microwave 1 to 2 minutes, depending on your oven. Start with 30 seconds (and eventually repeat) and please be careful not to burn your fingers! Remember that it will smell like risotto for the first 3-4 times, so if you’re planning to give it away as a gift it’s better to add lavender and complete 3-4 cycles of heating/let get cold before you give it! You can also store it on the freezer (but only if you have a no frost one, or it will get damp), if you need an alternative to the ice for your little one’s domestic accidents!!! Irene, thanks for the shout out! I like your detailed description of the different fabric types. I have put chamomile flowers and rose petals in mine. In winter I put one warm pack in the bottom of my bed to warm for my cold feet! Sounds smelling like heaven to me! Do you buy flower petals, Nicholaix, or you dry your owns? I have dried flowers when I am lucky enough to find some in my wanderings but I do have a market nearby for dried herbs and flowers if I don’t have any. I prefer the flowers to using essential oils but either one works. Sometimes they (dried flowers like chamomile and lavender as well as rose petals) are hiding in the tea section of your market. I laughed at the risotto smell comment. i used jasmine rice once because it was all I had and it smelled like popcorn ! Great idea using flax seeds! Sadly, I can’t see your picture, sorry! Maybe it has something to do with your FB security settings? No idea, really! I am a sewer, having made heating pads using rice and copying one I bought at a craft fair. I have several of them, and let me tell you they are a lifesaver for someone with arthritis !! Use them every day, either hot or cold, depending on how my joints are feeling. Have seen them using the flax seed and have wanted to try that in place of the rice. Being frugal, I have found that rice is very reasonable in price, and refresh every so often with aromatic oils. My favorite right now is lemongrass. Have never heard of using cherry pits, not even sure where one would get them ……. ? I use what we call around here feed corn. Works wonders! And fairly cheap for a 30-50 lb bag if you are making a lot for gifts. Great tutorial. I’m making heating packs for Christmas gifts this year. After reading this tutorial I decided to make a larger on that will fit over the shoulders for my ‘sewing buddies’. Thanks again for the great and understandable tutorial. Thank you Sandra for your appreciation a day your sweet words: they made my day!